Back and bigger than ever with more acts, more stages, more venues… and even more Guinness! No one does a St Patrick’s festival quite like us. 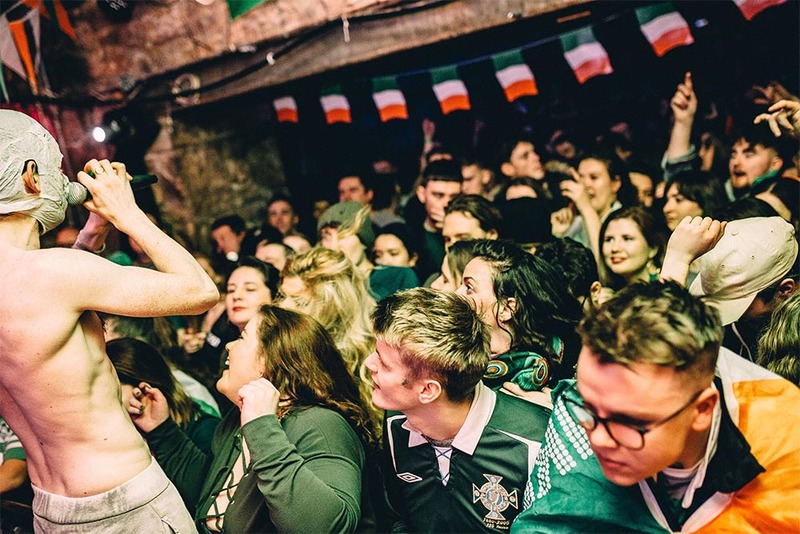 Situated in the heart of Edinburgh’s Cowgate known as “Little Ireland”, enjoy this year’s festival over multiple bars and venues. Look out for the #CowgateStPats logos outside the official participating sites. 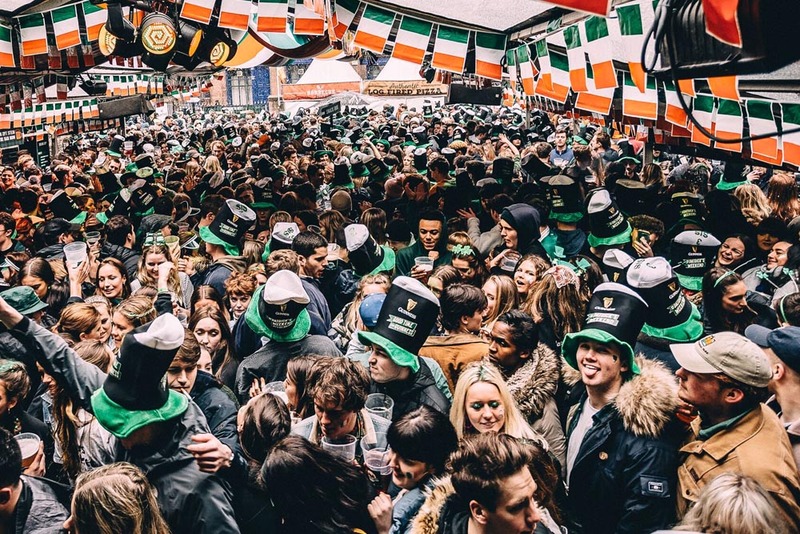 This is the biggest party of the year – in fact The Three Sisters holds the world record for the most Guinness sold in a single day! Come down to party, dance and help us beat our own record. Edinburgh’s Little Ireland is made up of a bunch of amazing bars and pubs so you won’t run out of places to party. The amazing and MASSIVE Espionage will be taking part as per tradition bringing you some amazing live entertainment across 5 different floors so you know there is something for the whole gang! Hate queuing? Well 5 floors means 5 bars! Espionage is your one stop shop for a mad St. Paddy’s Day celebration! From Espionage to the very best of Edinburgh’s proper Irish pubs…the legendary Biddy Mulligans! Biddy’s is located in the heart of the Grassmarket. Selling all the traditional Irish drinks, including Guinness obviously, but they also sell little tastes of home in their corner shop – and the all-important jumbo breakfast roll! With live music through the day and into the wee hours, it’s a great hidden gem of Edinburgh. If you fancy some great live music and cocktails then head over to Cabaret Voltaire. With a cool, edgy café upstairs and one of the very best of Edinburgh clubs downstairs, it truly is a one stop show for all you party lovers out there. There will be some great Irish live music paired with delicious cocktails so make sure you add them you the list! Last but by no means least… The Three Sisters! This is the pinnacle of Edinburgh’s St. Paddy’s Day scene! There will be live music and performances all day followed by DJs into the wee hours! There will be tables to dance on and steins to drink from all day and a huge chunk of the night! If you want a great story to tell The Three Sisters if the place for you, but get there sharp as we get full super quick so start the party early and remember it’s 5pm somewhere!